This little booklet of twelve views has no cover, so the web mistress would welcome information that would either identify the booklet's proper title and publisher or provide information about possible photographers. 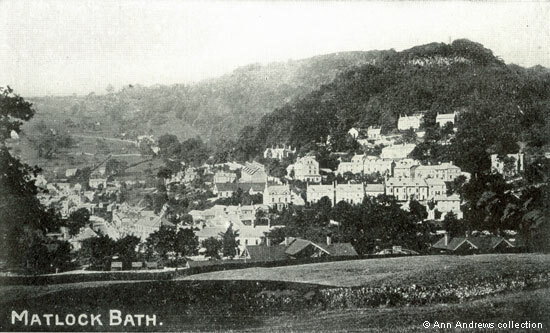 This may be a general collection, using the work of several photographers, or it might have been compiled by one or both of the Barbers, who were photographers operating from Matlock Bank in the late nineteenth and early twentieth centuries. William Harvey Barber definitely took the photograph of Matlock Bridge (see below) and either William Henry or his father Frederick took Promenade, Matlock Bath and Chatsworth House From River Showing Cattle. The pages measure 5½" on their longest side and 3⅝" on the shorter side and the photos were probably taken between 1892 and 1900. 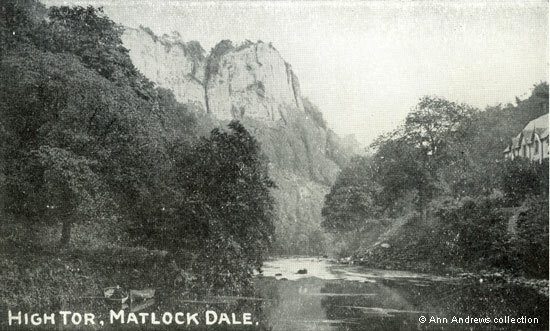 There are less images of Matlock Bath, suggesting perhaps that the publisher was concentrating more on Matlock. About 1900. 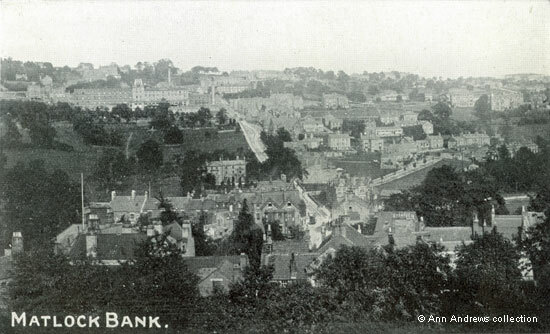 The 1899 extension to Bridge House, on the Bank, can be seen. Some homes had been built on Edge Road but Rockside Hydro had not been extended. 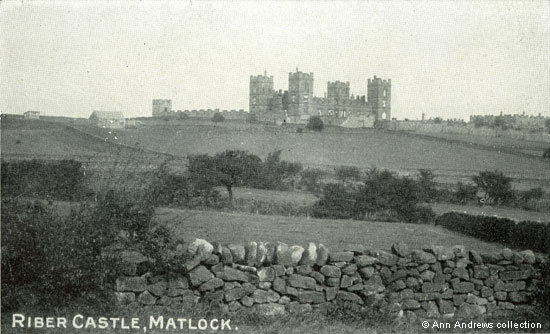 Compare with Matlock Bank (below). 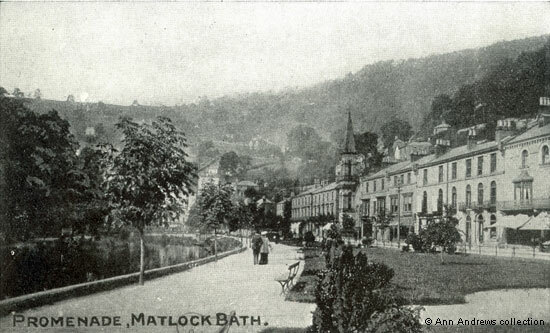 Matlock's New Town Hall was formally opened on Wednesday 10 Oct 1900. The former hydro, Bridge House, had been extended and this shows the new extension as well as the entrance to Imperial Road. as the Town Hall, is the unmistakable chimney of Smedley's Hydro's boiler house. The man standing on the pavement is at the entrance to what was then Imperial Gardens. 1896-9. Bridge House (the Town Hall) hadn't been extended but Lime Grove Walk was developing. and the second belonged to the tramway's engine house. Trams can be seen on all three photographs above. Photograph by William Harvey Barber. 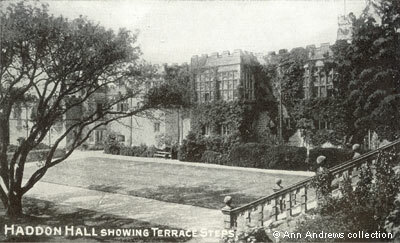 Also published in Heywood's 1903 Guide. 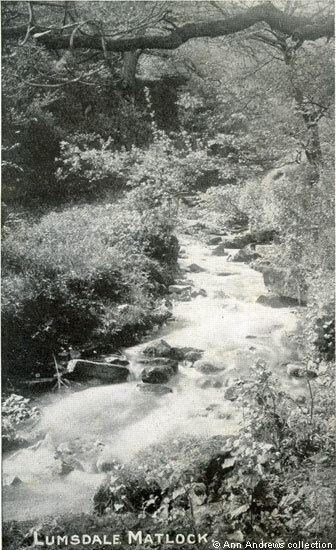 There are similar photographs of the County Bridge, taken before it was widened, in other booklets. the Smedley family following the death of Mrs. Caroline Smedley in 1892. Probably taken in the 1890s. Note the original railings next to the road. Photograph by Barber, though not known whether the father or the son. This picture was taken before 1900. Note the roofs of the station's buildings. In the collection of, provided by and researched by and © Ann Andrews. 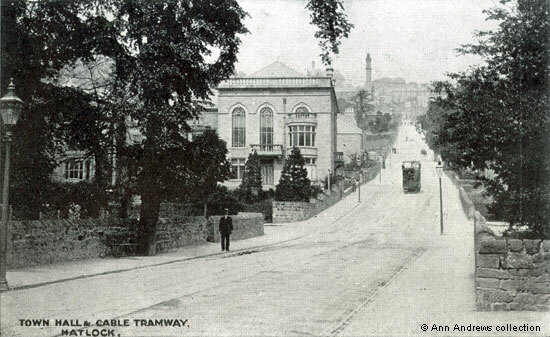 There is more information about Matlock's tramway: Bank Road & the Steep-Gradient Tramway. "The Derby Mercury", 17 October, 1900. 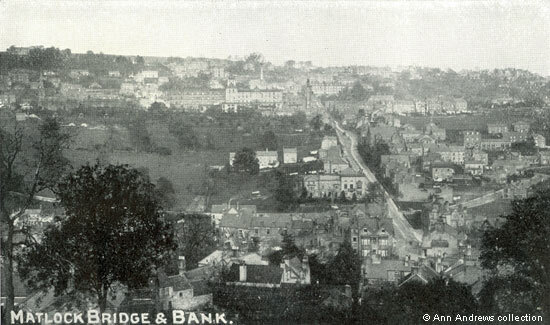 See Matlock Bridge (and Bank), early 1890s. Heywood, Abel (1903) "Abel Heywood's Guide Books, With Cycling, Walking and Driving Routes. Matlock Illustrated". 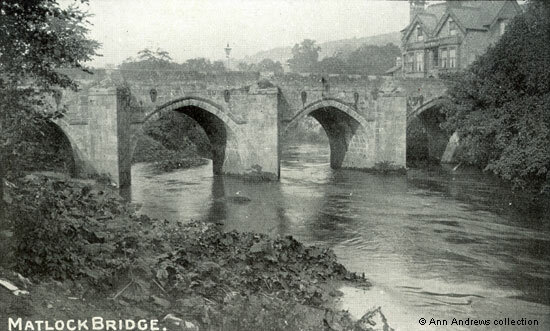 See: Matlock: The Old Bridge and Matlock: The Bridge (1). These images were also published in "Famous Derbyshire Health Resorts, Illustrated. 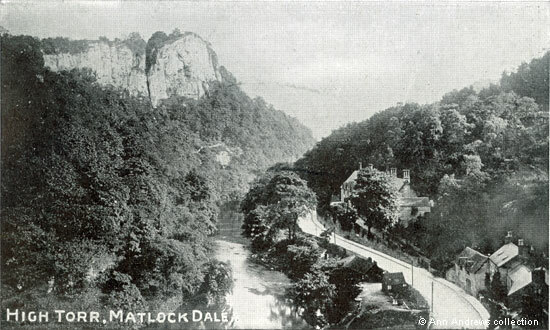 The Matlocks", a booklet "presented with Mr. Tyack's compliments" and published about 1892. 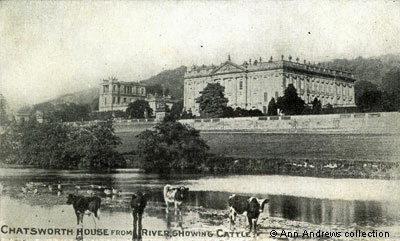 There is another image of Chatsworth House in a different part of this site. Images of Haddon Hall are also in a different part of this site.